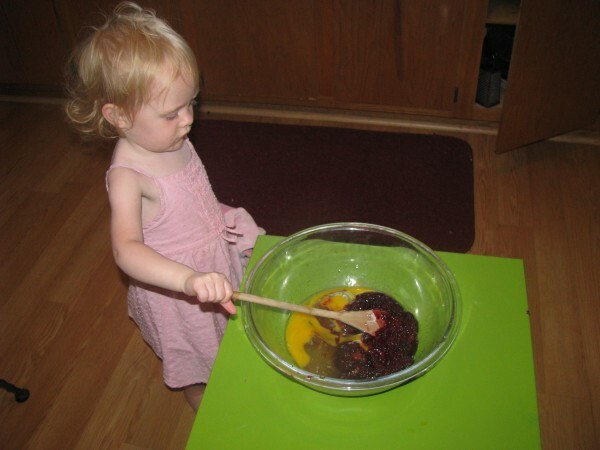 This week we asked: What does Learning in the Kitchen look like? 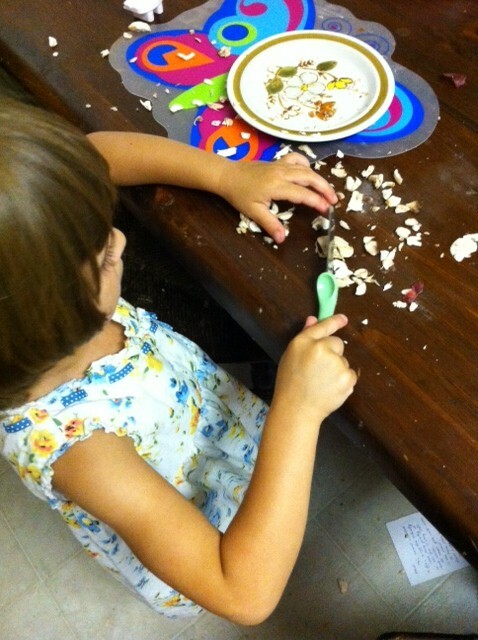 Sasha sharpens her fine motor skills with spaghetti. Sasha’s momma blogs at Momma Jorje. 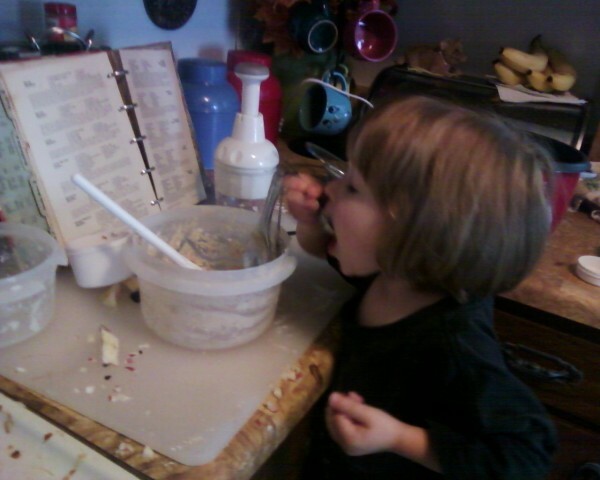 Julia’s daughter, Marcella, helps make cookies. 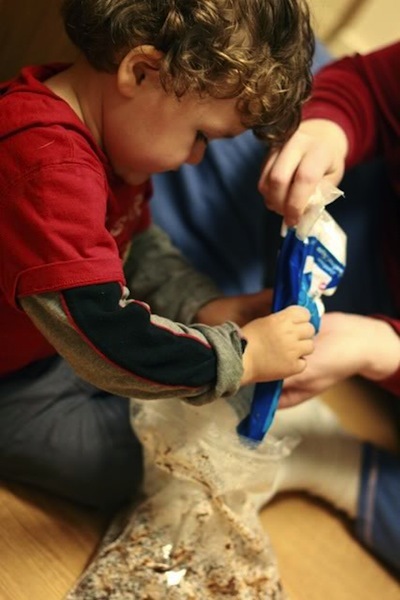 In a kitchen too tiny for a stool, children can help out if you bring the cooking down to their level on the floor! 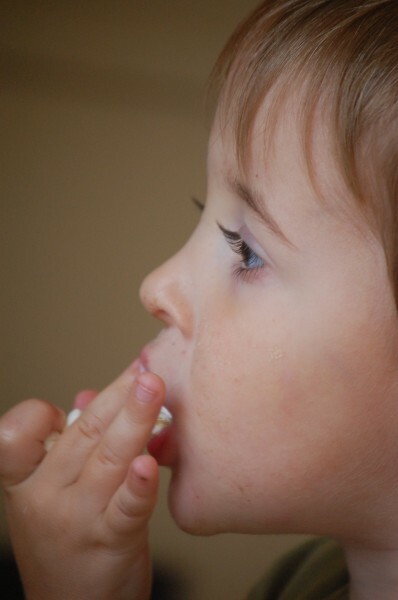 Still learning how to eat popcorn without dropping most of it on the ground. It’s getting better! Heidi mincing mushrooms. Sort of. 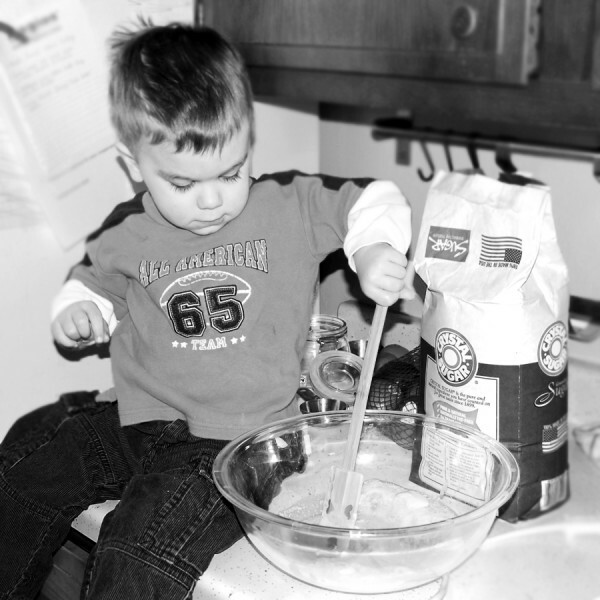 It was Valentine’s Day, and his first time making cookies! 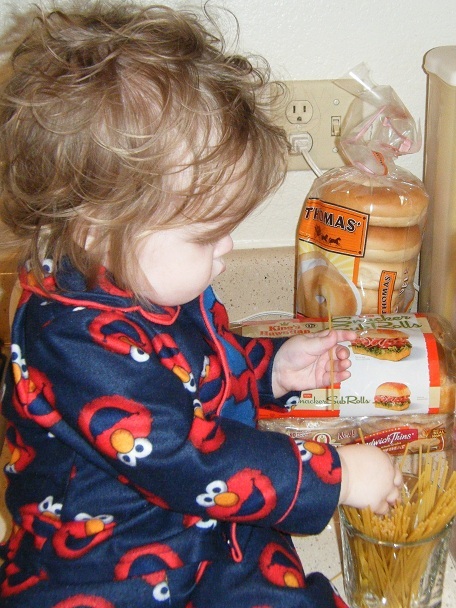 Shellina blogs at The Frugal Flambe. Lia blogs at The Leaking Llama. 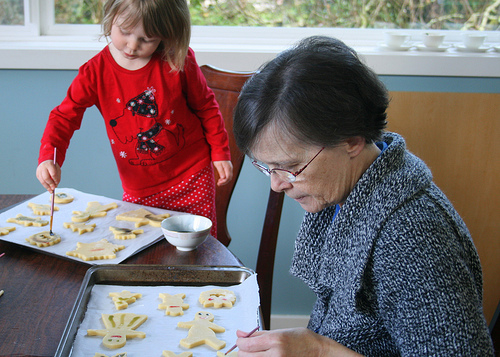 Tell us: What does Learning in the Kitchen look like in your family? We have such creative kids! I am so impressed by all of your kids! 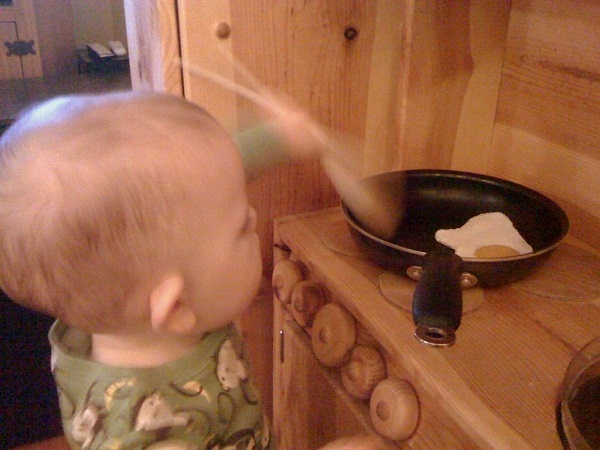 And I love the fast moving action shot in the wooden kitchen, very cool! I love the knife safety shots. 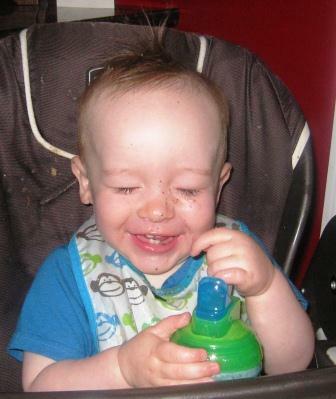 I myself am terrified of knives, so I let his dad handle that with Mikko. 🙂 It’s a good idea to start young, though! These are amazing! 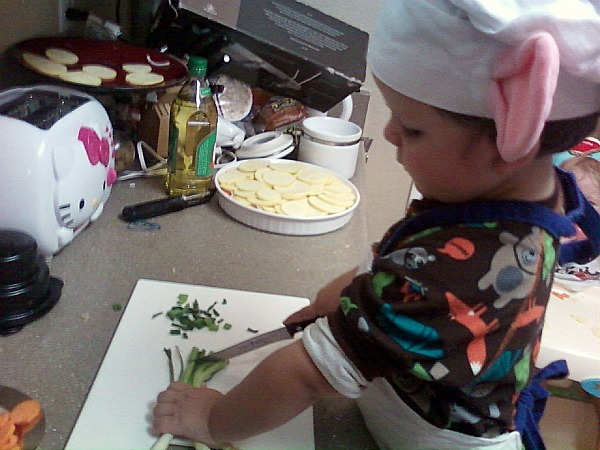 I love seeing photos of kids helping in the kitchen. I love all the different ages showcased. Love it! These kids all look like they are having a great time. 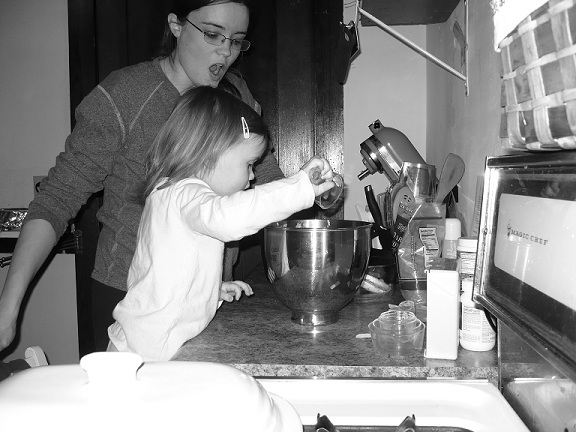 I love cooking with my girls one at a time, but still haven’t been able to figure out how to manage all three together. So sadly, we don’t cook together as often as I’d like! These are all awesome! 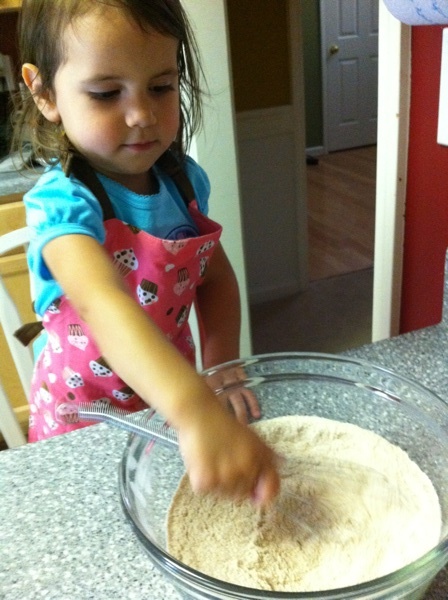 I nanny 4 kids and one of them (3yo) ADORES cooking and wants to help pour anything and everything. Her latest task is learning to crack an egg- I’m more proud of the times that she asks for help than the times she can smash it on her own 🙂 I was never good at asking for help, so I’m so happy to see her learning it already.